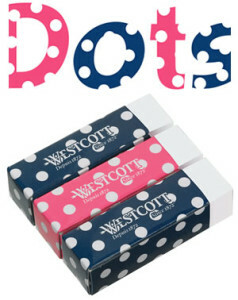 Teachers can request free DOTS eraser samples from Westcott (sign-up form requires teacher certification number). Follow the link provided below and click on the banner at the top the page to compete the survey and claim your FREE DOTS eraser samples. Only available for certified teachers in Canada.